KOTA KINABALU, Feb 9, 2015: A group of concerned citizens are planning a peaceful gathering tomorrow here to demand the release of five activists arrested in Lahad Datu last week. The protest, set to take place a stone’s throw away from the Chief Minister’s office in Likas, will also see them hand over a memorandum to Datuk Seri Musa Aman. According to the programme coordinator, Tony Minggir, about 100 people,representing 25 non-governmental organisations, were expected to take part in the gathering. “The number may increase as we are expecting friends from other districts to join in. “We will be carrying placards and calling on the state government to emulate the Sarawak government’s decision to guarantee its people the freedom of speech and religion,” he told The Rakyat Post. Minggir added that the group would be making stops at several locations in the city. Last Saturday, five activists, including two grandmothers, were arrested by police while filling up their car tanks at a petrol kiosk in Lahad Datu for suspicion of being involved in the Sabah Sarawak Keluar Malaysia group. The five, Rosina Avellinus, Mary Regina, Mohd Rizwan, Wilson J Moduyin and Milin Biok, aged between 22 and 59, were placed on two days’ remand, expiring tomorrow. This is the second arrest involving activists. 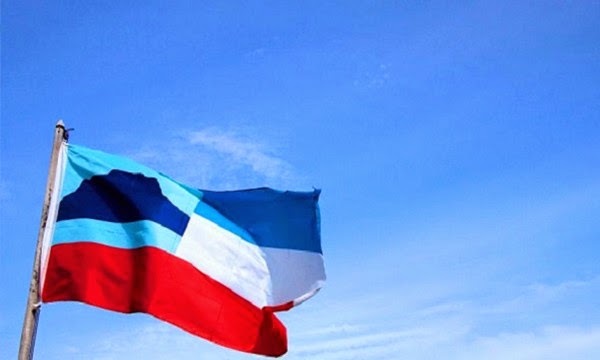 The first was on Feb 1,when nine people were arrested while soliciting signatures for a petition seeking the secession of Sabah at the weekly tamu (open market) in Tuaran about 10am. Aged between 24 and 50, they were released on RM2,000 police bail in the evening. To date, police have yet to officially make a statement on the latest arrest. “We are not trying to create havoc, but we will organise a peaceful gathering for every arrest made on our activists,” said Minggir.